Hi! I’m Melissa Worcester, known online as Beelissa. I’m available to work with you on your design project, whether it’s for a website, social media or something you need to have printed. I work out of my home in Galway, New York. 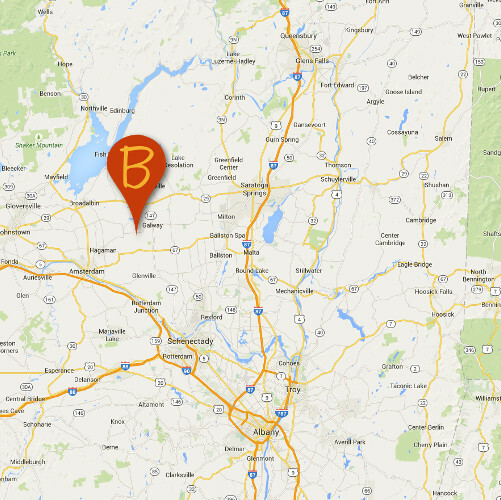 Most of my clients are located in Saratoga and Schenectady Counties. I’ve kept the map below intentionally vague, since I don’t want people just showing up at my home. I went to college to learn about Advertising. My first two jobs were at small newspapers. Along the way I’ve run several in-home businesses and helped my husband market his own small businesses. I’ve always been someone who wants to get the most out of my dollar, so I’ve learned how to market a business without breaking the bank. I’ve learned what can be done for free, what situations require spending some money, and how to do some of it myself to save some money. I have also found some of the lowest prices for marketing, both online and in print. I can help you start a website or improve the one you have. I can help you create a Facebook page or update the one you have, or I can do it for you. I can show you how to use Pinterest to market your business. I can write copy for your website or for your printed brochure. I can help you find the best price for printing, whether it’s for a brochure, business cards or business stationary. Melissa was so great to work with. She taught me what I needed to know to make the process as smooth as possible. Because she showed me how things work, I didn’t have to bug her for everything little thing, yet she was quick to respond to every little need I had. She had great advice on making the website pay for itself as well, something I had never considered. I highly recommend Beelissa.com for all your website needs. Beelissa edited my e-book, Taming the Toxic Menace in Your Home, and designed and created the website for my e-book, along with websites for my expert witness business. She has been extremely helpful in guiding me on driving readers to my site. Her writing skills are excellent, and she writes with a style that is comfortable and interesting for all reading levels.